Croft Filters Ltd are a leading UK manufacturer of over 32 years who specialises in manufacturing customised filtration solutions and supplying Self-Cleaning filters. 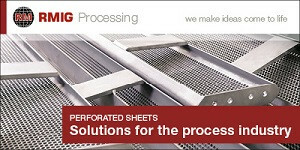 The Company supplies a range of market sectors that including the Food and Beverage Industries. Baker & Finnemore is situated in central Birmingham’s Jewellery Quarter, is ideally positioned at the hub of the UK’s national motorway network. Established in 1850, the company, now widely known as ‘BakFin’, has come a long way from its origins as a producer of high quality dip-type fountain pen nibs. Sheffield based DP Doors and Shutters has recently invested £80,000 in a new in-house powder coating plant. The firm supplies, installs and maintains a wide range of industrial doors, shutters and grilles for a variety of sectors across the whole of the UK. Schmersal is not only a manufacturer of safety components, but also a system supplier. In developing the new PROTECT PSC1, we have taken a big step forward in the field of control technology. Chicago Pneumatic – CP0611 D28H Super Duty 1” Impact Wrench! Chicago Pneumatic likes to listen to the voice of its customers to ensure that when they bring tools to the market place they are a preferred choice of the user. All tools currently available and those yet to be launched go through a vigorous procedure at the impressive test facilities in their laboratories at Nantes in France. They are checked and validated by an experienced engineering validation team. Depending on the complexity of the design they can test the tool at each stage of its development. With the recent launch of its new WypAll* ® ForceMax Industrial cloths, Kimberly-Clark Professional* challenged manufacturing facility production managers to reconsider their wiping choices, pitching the WypAll* range of industrial cloths against traditional rags and laundered cloths used in plant and manufacturing settings. Harald Pihl is a family company founded in 1912 by Harald Pihl and is still today, more than 100 years later, managed by the third and fourth generation of the Pihl family. We are one of the leading companies in Europe, storage alloys of nickel, copper, titanium and welding materials. Measure Up to Your Toughest Challenges. Level matters to your business, that’s why it matters to Magnetrol®. Magnetrol International has a history of excellence that spans over 85 years. From our first mechanical buoyancy switch in 1932 until now, we’ve been focused on one thing: providing reliable, best-in-class level measurement solutions for the process industries. Our instrumentation combines the latest in innovation with the deepest experience in a wide range of applications. New from Weintek is the cMT-iM21, a new generation touchscreen monitor designed exclusively for industrial applications. Equipped with HDMI video input, Full HD display and 21.5” large screen, this touchscreen monitor is able to display your UI and a large amount of data with stunning clarity. Phoenix Systems UK Ltd has continued to supply extremely high-quality sub-contract manufacturing services to the electronics industry since 2002. With a long tradition of excellent service, Phoenix have sought to improve and expand their Quality Systems in accordance with the latest AS9100 rev D accreditation. Axium Process’ robust and versatile duplex, triplex and multiplex stainless steel filter systems are improving process efficiencies and providing substantial cost savings in respect of reduced downtime and screen disposal costs for processors operating in the pharmaceutical, food, beverage, confectionery and chemical industries. In response to on-going strong growth in the South East, wastewater systems and solutions specialists Jacopa have re-located from Maidstone to larger facilities at nearby Aylesford, Kent. For EoL or ‘current’ inductors, resistors, capacitors and all passive components, BEC as a specialist UK local distributor, offers huge unallocated stock all with CoC by original manufacturers. Oldham Engineering Ltd remains a family run company and preferred supplier to the Nuclear, Defence, Rail, Steel, Oil & Gas, Subsea & Power Generation industries. Oldham Engineering is an expert in Turnkey Project Management and this unique business provides in-house complementary services of CAD/CAM proof machining, Coded Fabrication, Medium-Heavy CNC Machining, Robot Welding and Complex Assembly & Testing for batch and one off production. The Sobye belt filter has gained an excellent reputation over a 25-year period as an automatic, self-cleaning compact solution for primary treatment to replace settlement tanks. More than 200 systems are currently in use, with around 100 of these in the municipal primary treatment market.